The Gentleman Crafter: Uncle Bubba's Mask Making! Gosh, I've been busy crafting today! First up was a mask for my niece that needed to be sent last week! But since Halloween is Wednesday, I think she will have it in time...She is going to be Super "L"! Super Liya! There were just a few requests from Sweet Cheeks....Pink, Purple, and lots of bling! I hope I succeeded! This will be her first or second Halloween in this country (Uncle Bubba's brains are going and can't recall!) and I'm so excited to see she and Finny, my sweet little nephew, all dressed up for Halloween! I so wish I could be there to go trick-or-treating with them! I was trying to find a picture my sister took of Super L in her cape on Facebook, but can't... so as any proud uncle would do...I found another cute picture! LOL! And here is the one I finished this morning...A bit more fun, bright and kid friendly! I hope anyway! I think it looks like her. Well, back to the studio...Break Time Is Over! I'm working on THE COOLEST Sizzix project! I am so excited. It's one of those things where you can't wait to get back to it, because it's getting to the point where it's actually looking like something! LOL! I'll show you all sometime in November. LOL! Have an awesome Sunday Gang! BTW, still cool and crisp here in Texas Land! Beautiful mask and such cute little ones. I am sure she will love her Uncle bubba for making such a cool mask for her. So cute and girly. Perfect mask for Super L! What a wonderful uncle you are to make this for her. Looking forward to the Sizzix project! Enjoy the rest of your Sunday! You could never make anything as cute as Liya but you certainly did come close. You made me miss my family!!!!! Darlin' l'il kiddies....how do you keep from squishing them half to death? They are beautiful! And the second mask is perfectly girly. You will get rave reviews! Better send something for the l'il guy to avoid WWIII. I think the change of plans turned out very nicely. I hope the lil ones have a happy halloween. Adorable kids. and Congrats on your new adventure. I'm a follower through and through. Jim, your niece is going to be so excited, It's perfect! The first one is a little more adult like, I agree with cardchick. You had to tease us with your sizzix project, I hope we don't have to wait till the end of Nov. I'm still trying to figure out where you get all your energy, I've been taking the ALIVE for a couple of weeks now and it's done nothing for me yet. Little Liya is sure to love her new mask. Personally I prefer the first one (are you sure that the "L" doesn't stand for Lynn)?! Your Sizzix project sounds like a lot of fun - can't wait to see it! Hi Jim! Your niece and nephew are such cuties... I'd be squishing them all the time...lol. You were right about the masks...1st one is too adult like, 2nd one is perfect. Looking forward to your projects with/for Tim Holtz. Hope the little ones have an enjoyable Halloween. oh my gosh, first off, those children are ADORABLE and very lucky to have an uncle Bubba like you! those MASKS are awesome..my 20 year old daughter in college would wear those! LOL she loves wild and crazy! Your niece will go crazy!! Oh no, I lost my first post in the ethernet, so this one will not be as funny! First off, your love bunnies are too precious for words! And secondly, Uncle Bubba to the rescue! 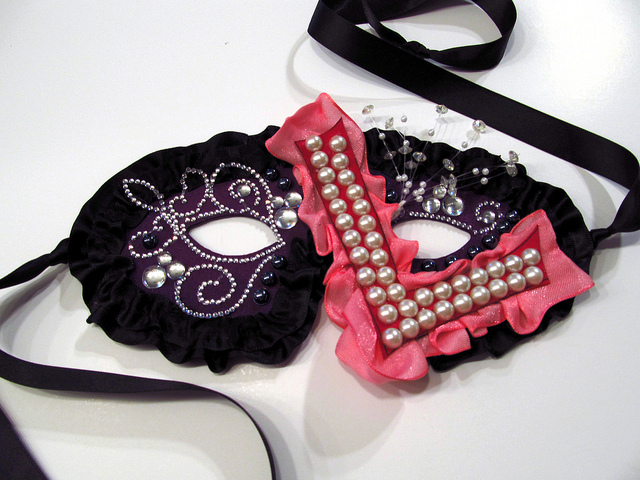 Both masks are great and Super L is definitely going to have fun with the one you are sending. But... hold on the first one, she is so going to want to wear it when she thinks she is more grown up! And you are such a tease! You better hurry up and finish your Sizzix project really fast before those of us out here waiting on pins and needles expire from anticipation! Adorable kids ! I like your mask too ... ok I', cross eyed AGAIN ... gotta go get some sleep ... Have a Blessed Week ! Cuties uncle bubba! Super L will surely love her mask! What about lil bro? Where is his? Just sayin!!! Jim, I loved the first mask you made. Really pretty and I hope you didn't really pitch it out. You should have sent it for Mom to wear. However, I agree that the second attempt was more kid friendly and probably more to Liya's liking. It turned out adorable. She will love it. How sweet Uncle Bubba!!!!!! Love both the masks!! I agree, though...the black mask is totally cool but much more grown-up...as Cardchick said...more for a black fishnet stockings costume. 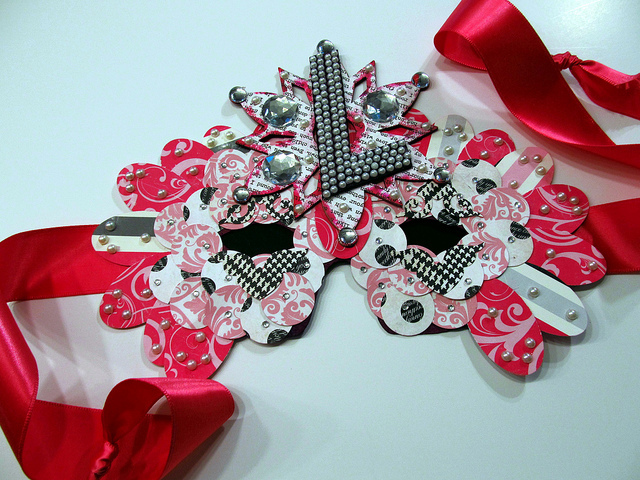 Liya is gonna love the girlie mask...so sweet! 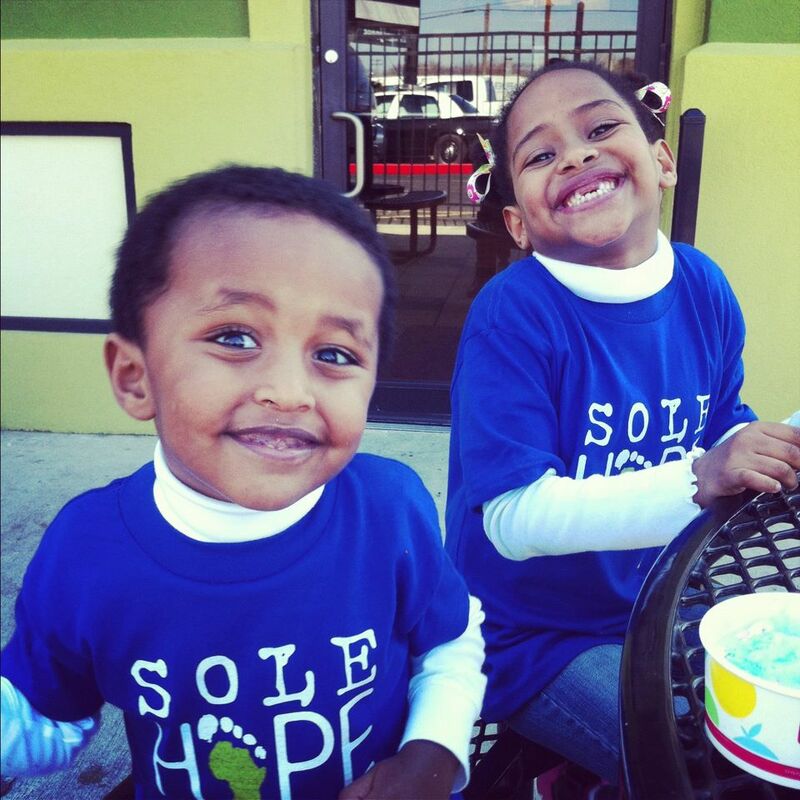 Thanks for posting a picture of both the kiddos...what sweeties!! They're lucky to have an Uncle Bubba...and vice versa! What heart warming smiles. They are so precious. The mask is very nice too, I am sure she will love it. Oh my...Look at those smiles!!! Such cuties they are. Hey...my kids call my brother Uncle Bubba too. But this mom of only boys and aunt of only nephews, thinks you need a special box for pink and purple stash. I had to do that when the first granddaughter and niece came along. Love ya!! Love the mask, I agree the first is a little too adult, but still great - I hope you didn't literally toss it! I'm thinking two front teeth for Christmas! They sure are two cute kids. fab masks ... so happy to find mask crafting since I'm addicted myself !! !